In our 11th episode supported by the Ford Foundation, Jillian talks with Nomzamo Zondo, the director of litigation at SERI, the Socio-Economic Rights Institute of South Africa. SERI is a non-profit human rights organisation that works with communities, social movements, and others to challenge inequality and realise socio-economic rights. In this sobering and moving conversation, Nomzamo offers a clear-eyed take on the state of South Africa today, offering global insights on injustice and inequality, and the importance of living thoughtfully, with intention and empathy. Hers is a deeply human take – one that weaves together her experiences as a daughter, mother, pastor and lawyer. 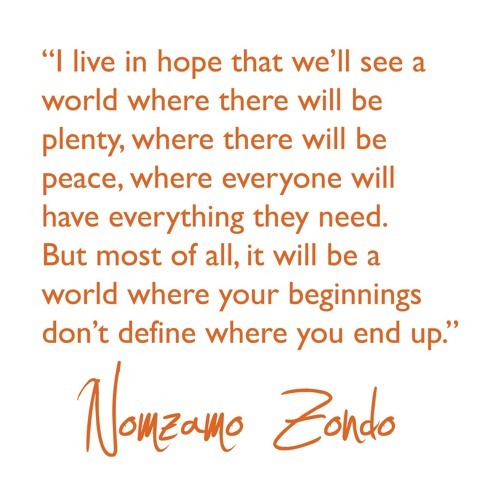 Amidst the disappointments of surviving a system that rejects people on a daily basis, Nomzamo finds hope. Hope that we will one day be able to see and hear each other for the full breadth of our humanity.